Exploring Alaska is an adventure. We were able to make our adventure possible by saving and by combining some budget friendly items such as a cruise ship at the end of the season and a airborne tour of Denali making this a trip to remember for all time. Let’s start with the flightseeing trip. We took the early morning train from Anchorage to Talkeetna, where we met the flightseeing crew. 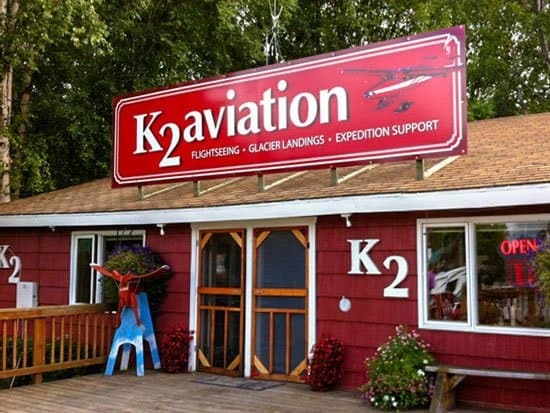 K2 Aviation provides flying tours of the mountains around Denali. If the weather conditions are not cooperative, they will recommend other route options, or refund any prepayments. Rest assured that during the flight you will be rewarded with spectacular views narrated by very knowledgeable local guides. 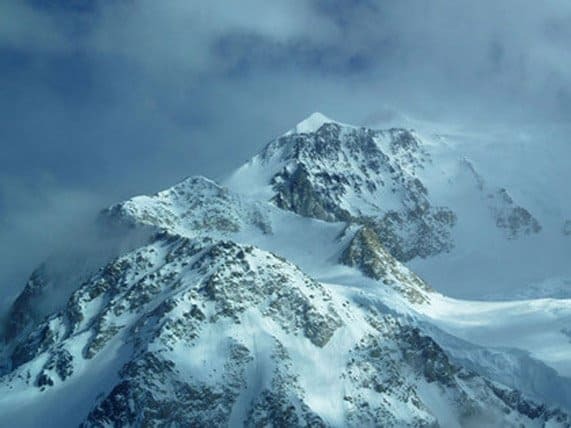 Mount Denali is the highest peak in North America at 20.310 feet above sea level. It was previously named Mt. McKinley. Five large glaciers flow off the slopes of the mountain. The Peters Glacier lies on the northwest side of the massif, while the Muldrow Glacier falls from its northeast slopes. Just to the east of the Muldrow, and abutting the eastern side of the massif, is the Traleika Glacier. The Ruth Glacier lies to the southeast of the mountain, and the Kahiltna Glacier leads up to the southwest side of the mountain. With a length of 44 mi (71 km), the Kahiltna Glacier is the longest glacier in the Alaska Range. Skip the tourist lines and enjoy comfortable and affordable transportation with the Glacier Express. 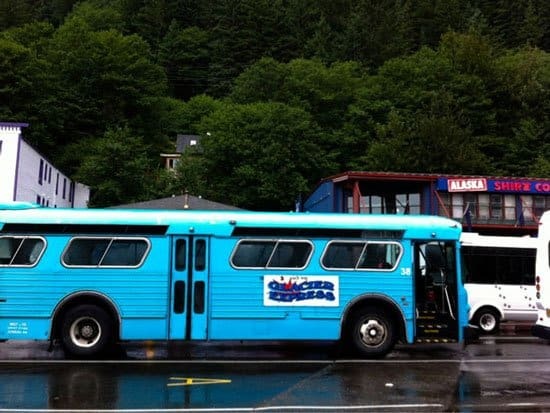 We departed from Mindenhall Glacier and for less than $5 were soon back in downtown Juneau at the cruise port terminal. The buses are bright and easy to see from a distance, too. 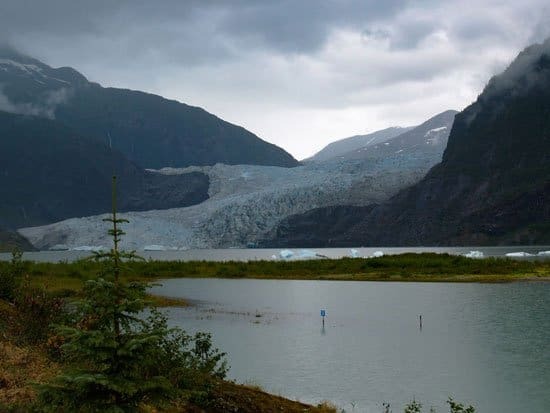 The retreat of the Mendenhall Glacier and other glaciers in the area is believed by some to be a result of broader retreat and breakup of the Juneau Icefield. 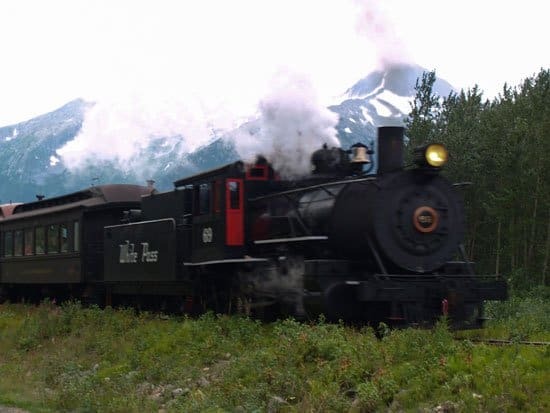 The White Pass Express railroad line runs from Skagway to the Klondike gold fields through White Pass providing its passengers with breathtaking views and a chance to step back in time for a moment to the Klondike gold rush. Steam engine, tufts of smoke, and wailing whistles evoke memories of childhood stories about trains (and train robbers, too). Ketchikan is located in southeastern Alaska. Ketchikan is named after Ketchikan Creek, which flows through the town, emptying into the Tongass Narrows a short distance southeast of its downtown. 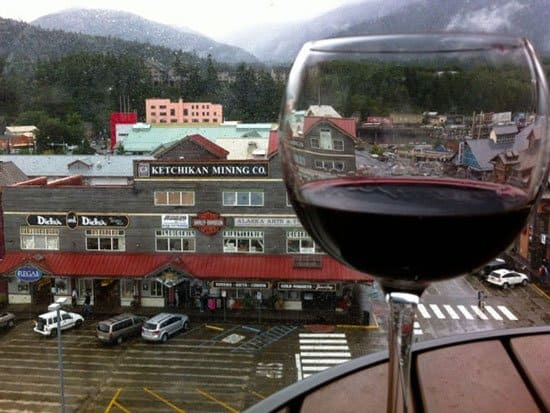 “Ketchikan” comes from the Tlingit name for the creek, Kitschk-hin. After a long day of touring local museums and a bit of shopping, we retreated to our cruise ship balcony to enjoy the city view as day dwindled away. We finished our exploration of Alaska when our ship docked in Vancouver, British Columbia. It was such an outstanding adventure that we will always be ready for a return visit. 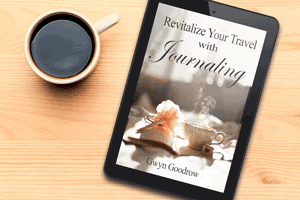 This is the kind of trip that anyone can make creating memories that will last a lifetime. You can make memories like these some of your own.